The discovery of an ultra-rare frilled shark on the Algarve coast has astonished a group of researchers who reported on the finding. 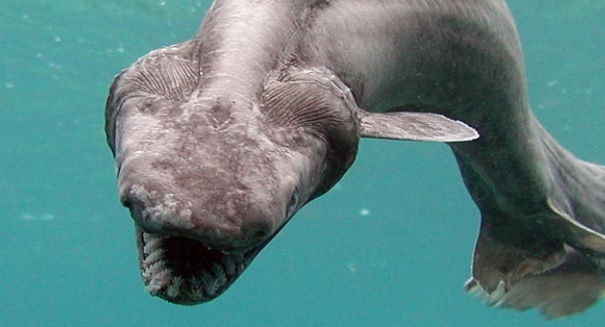 The frilled shark has often been called a “living fossil” both because of its appearance and how it has been basically unchanged for 80 million years, and the discovery of one of these rare creatures has gotten scientists excited. Researchers found a living frilled shark off the coast of Portugal, and more specifically the Algarve coast. Researchers had been working on a European Union project that was dedicated to minimizing unwanted catches in commercial fishing, and they weren’t expecting to find one of these rare fishes. The frilled shark probably looks the same today as it did back during the Cretaceous Period when the dinosaurs ruled the work, and it lives primarily in the deep sea, which is why they’re so rare to see. It typically lives about 390 to 4,200 feet below the surface, and we didn’t even know they existed until the 19th century. This particular shark was about five feet in length, although they can grow to about a foot and a half longer than that. It is named after its unusual gills, which stretch along its throat unlike with most sharks.